On our recent cruise up the Maine coast, Mrs. Hotdogman and I found ourselves in the quaint and breathtakingly beautiful town of Biddeford Pool, Maine. 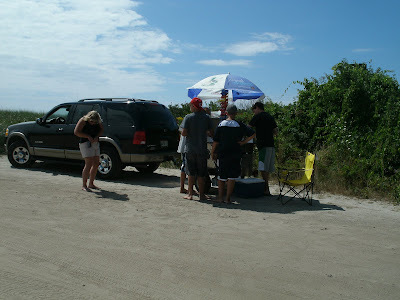 We parked on a side street and headed on foot down Gilbert Place just off Mile Stretch Road (route 208) to get to the beach. THIS is what we saw in the beach parking lot. 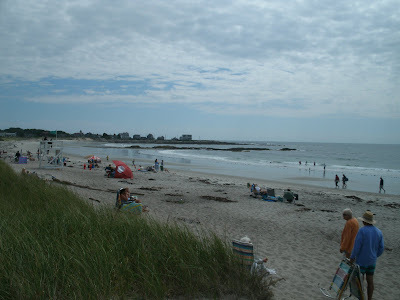 This was the location of Biddeford Pool’s lone hot dog cart, T.D. Dogs. 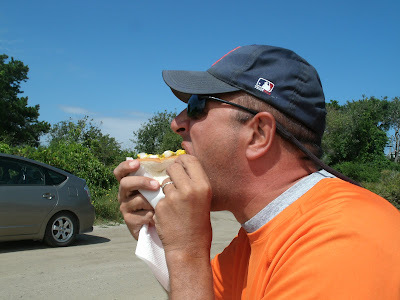 It was on the early side for lunch, but Mrs. Hotdogman and I can’t resist the opportunity to munch on a hot dog and get a good hot dog story. We introduced ourselves to young Mr. Brady Stebbins, the 17 year old son of cart owner Tim Stebbins. Tim is the “T” in T.D. 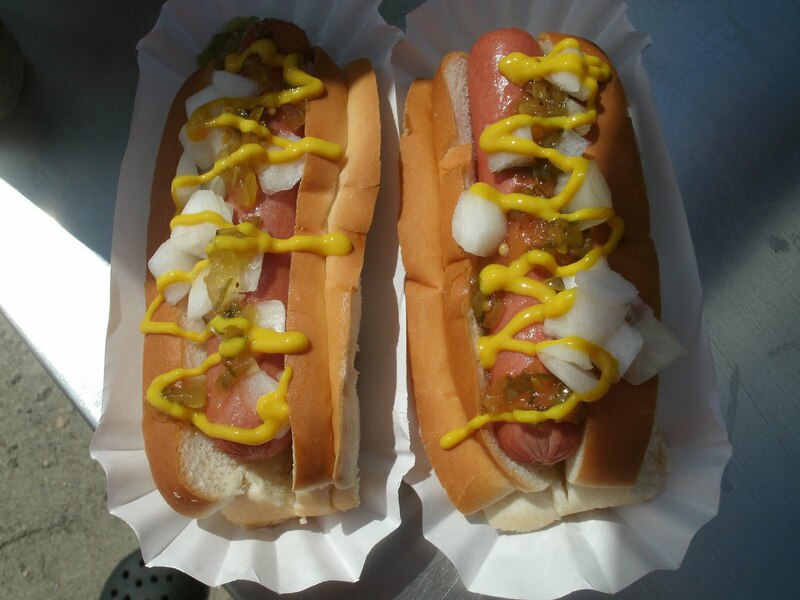 Hot Dogs. He bought out “Dennis,” the cart’s co-founder, several years ago. Tim is an assistant principal at a local school and has run T.D. Dogs at this location for the past 6 years as a summer gig. 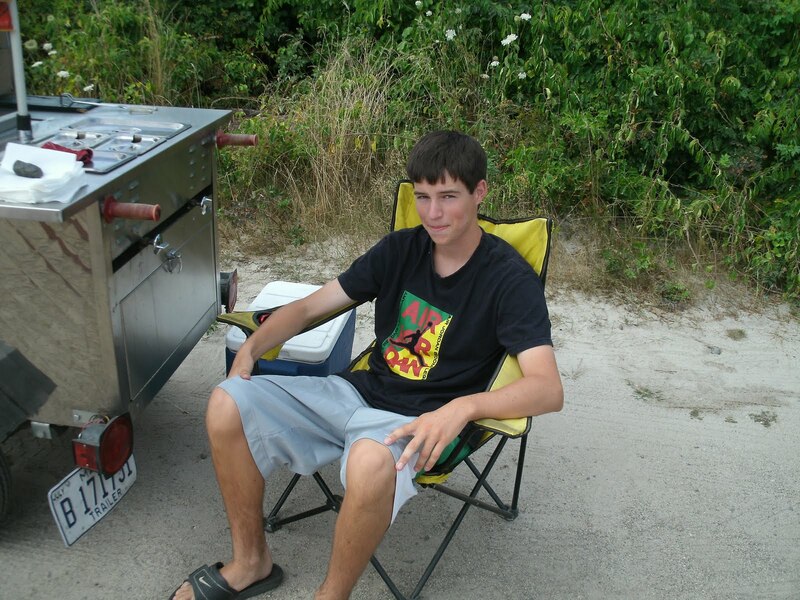 Brady takes over several days a week to help earn money for college. 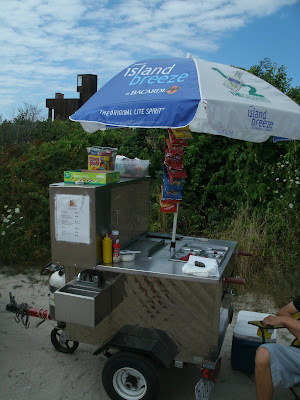 This is a great location for a hot dog cart-at least on good beach days! T.D. 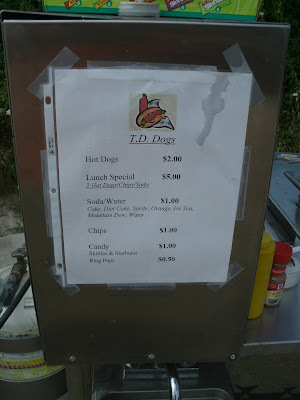 Dogs is also a very good example of how you can get into the hot dog business on a part time basis. Somehow a little hot dog cart like this at the beach just seems so right. 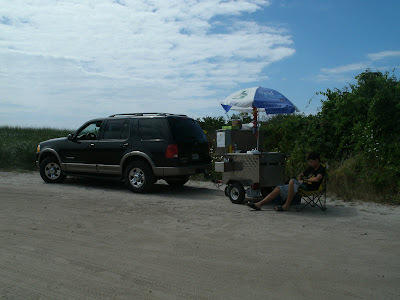 The dogs weren’t quite ready when we arrived, so we hung out for a while and checked out the cart. It’s a standard trailer tow style hot dog cart made by the now defunct Custom Choice Hot Dog Cart Company. 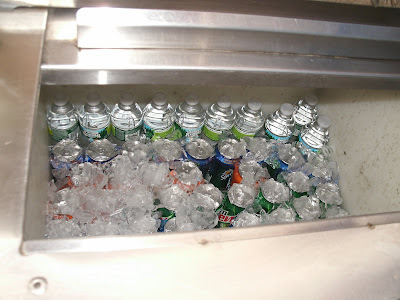 and a big soda cooler. There are 3 steam pans that Brady deftly boiled the dogs and steamed the buns in. We checked out the menu and Brady gave us a holler when the tubesteaks were ready. T.D. Dogs serves up an Old Neighborhood Frank “dirty water style” on a steamed bun. 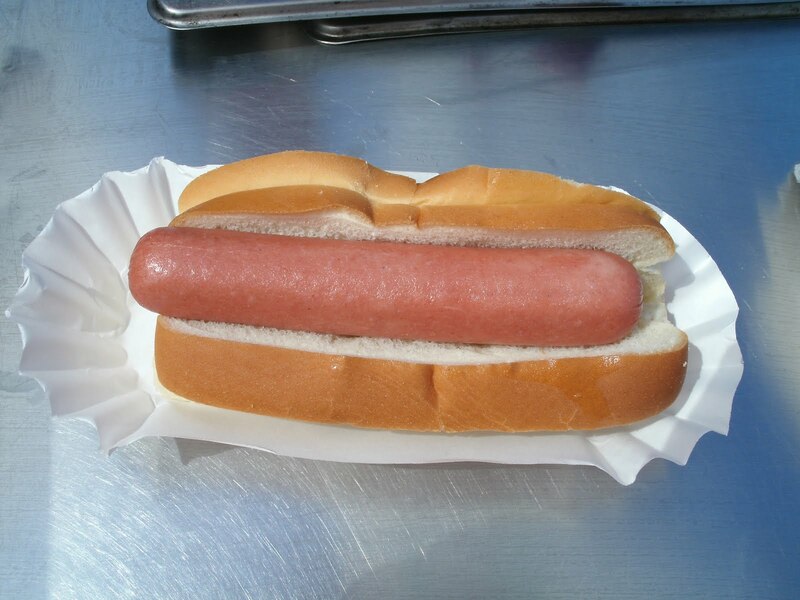 …so I loaded up two all around-one for me and one for Mrs. Hotdogman. This was a bare bones hot dog from a small beach front hot dog cart. 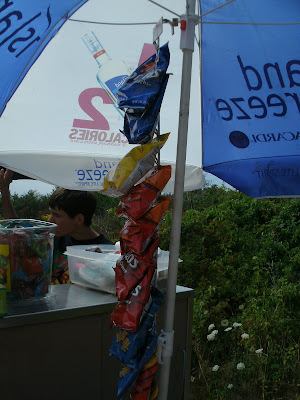 They were tasty. It was a great way to have a light lunch at a beautiful beach with a beautiful lady. 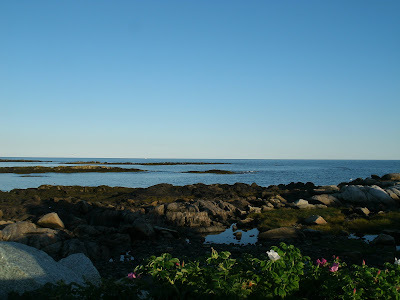 I can’t think of a better location! 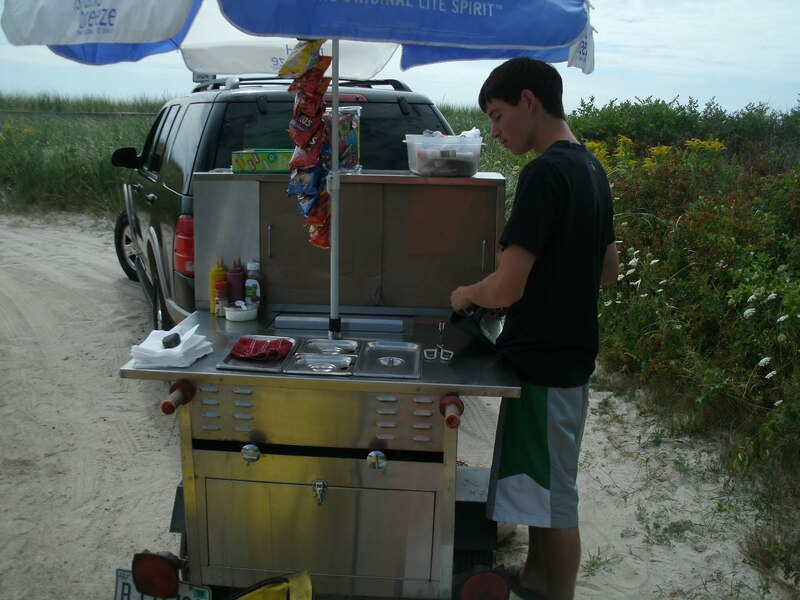 Judging from the crowd that quickly gathered around the cart, Brady was in for a good hot dog day. Mrs. Hotdogman gave it TWO THUMBS UP- but she was being camera shy today. 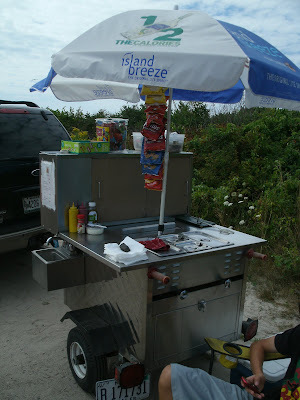 There is another hot dog cart just down the road from this one. 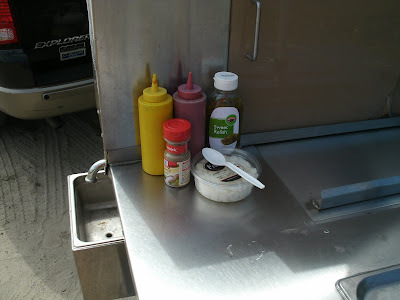 It has a grill onions! Thanks for the tip- we'll check it out next summer when we head up there.